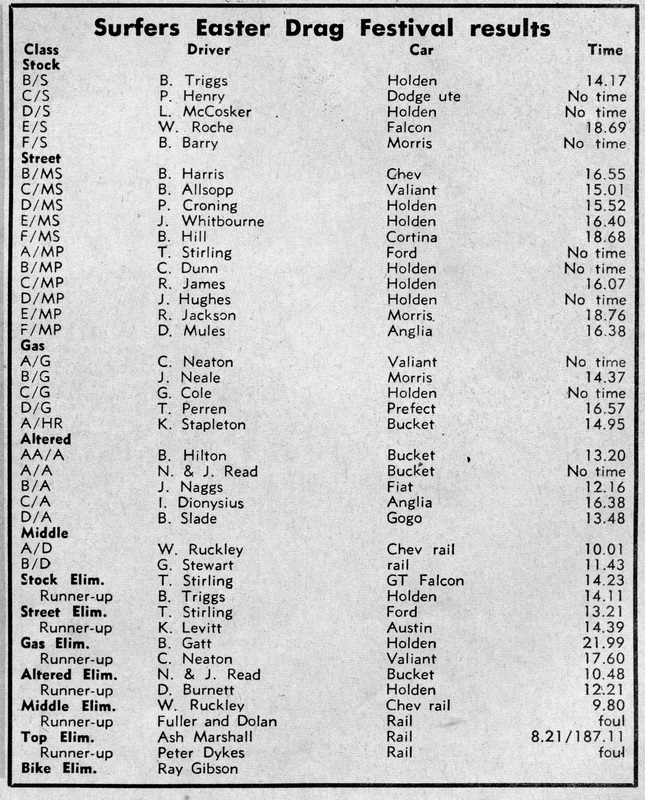 Drag racing commenced in Surfers Paradise in 1966 with the opening of the Keith Williams designed and built Surfers Paradise International Raceway, The 14 mile drag strip was in fact the front straight of the 2 mile road race circuit. 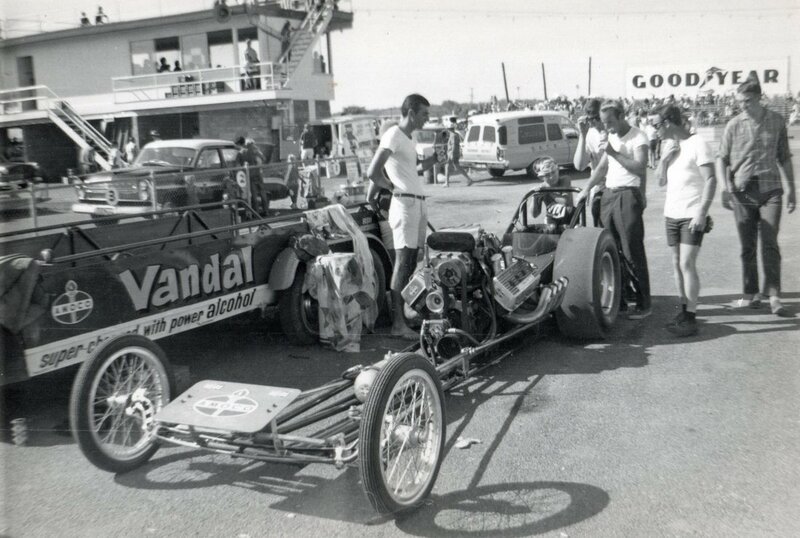 1966 - Ash Marshall's rail named the Vandal in the pits at Surfers Paradise. Photo: Dave Hill. 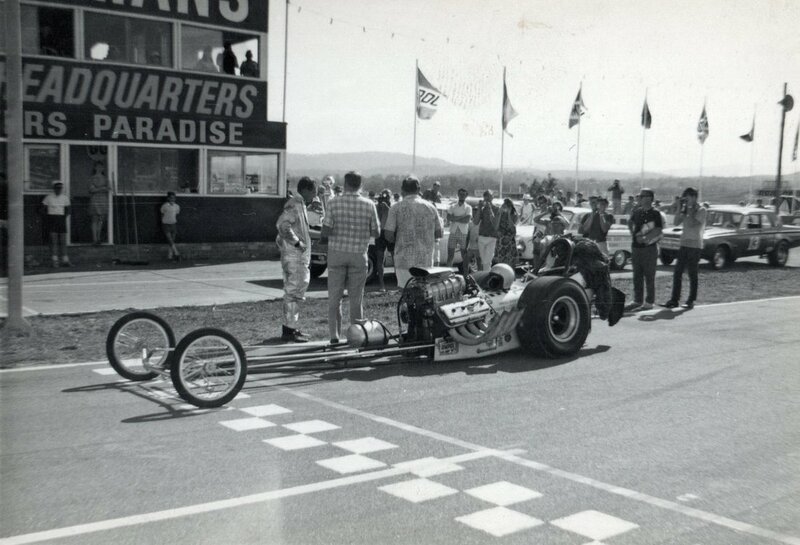 1966 - Graham Withers getting ready for a big days racing at the Surfers Paradise strip. Photo: Dave Hill. 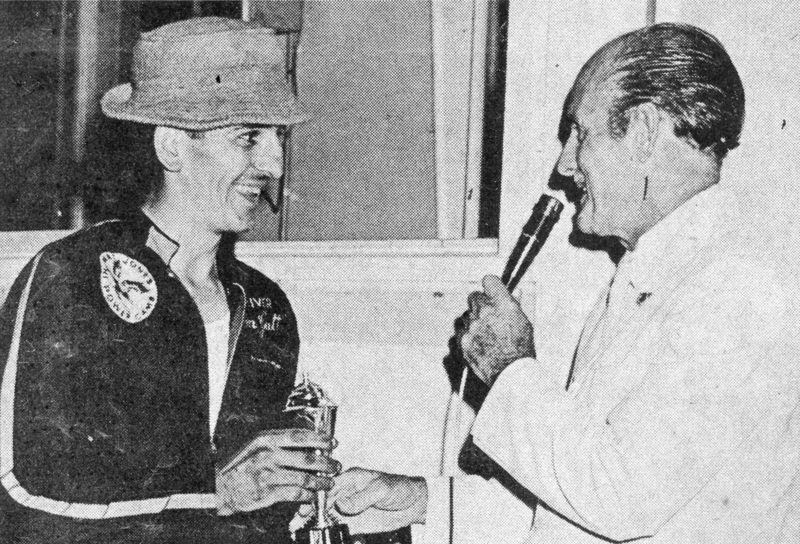 Although drag racing commenced at the venue on the Easter weekend of 1966 the famed Winternationals didnt start until June of 1968. The Winternationals would become the largest drag racing event outside the USA, In 1988 the Winternationals were moved to Willowbank Raceway. Benny Gatt "Aborigine" receive his trophy from Mr Dewar. WEATHER was really great on May 23 - the Gold Coast turned it on for a change. Yet it did not lure many competitors, who are obviously saving their efforts for the big Winternationals shindig this month. However, the weather did bring the spectators - many more than is usual for a normal monthly meeting. 1971 - John White 1955 Chevrolet. Photo: unknown. 1971 - Roy Smith blown dragstar. Photo: unknown. 1971 - Tom Stirling Falcon GTHO. Photo: unknown.